ABA, NG - Kingdom driven music minister, young and anointed praise and worship leader known as FRED UPS makes his first music release this year with the epic urban single "The Doer". It has a beat that is synonymous with Nigerian flavors and beat and I know you are going to love playing it. "The Doer" is an epic praise song that expresses and acknowledges God as the great God who performs wonders without numbers. You can't listen to this great song inspired by the Holy Ghost and not dance like never before. 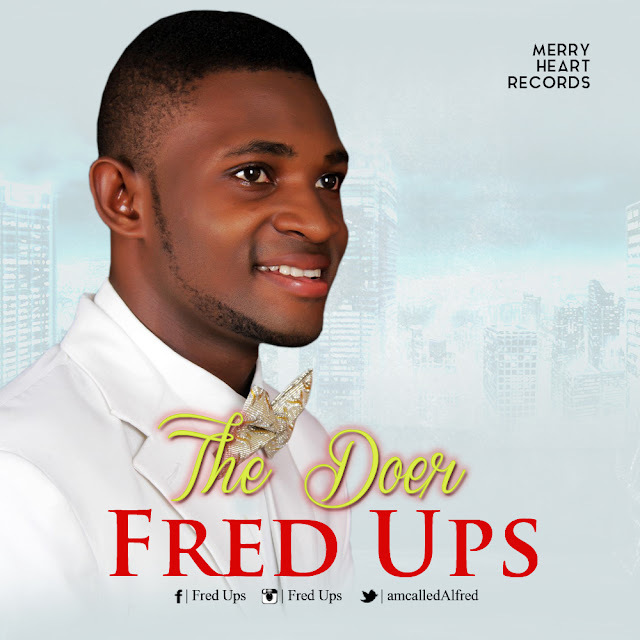 Fred Ups Is a Kingdom driven music minister. The young and anointed praise and worship leader was born to the Ejima on the 31st of March. Alfred Ejiama also called FRED UPS hails from Abia State in Nigeria. He is a Member of the Living Faith Church AKA WINNERS CHAPEL and also draws his inspirations mostly from the teachings of his spiritual father, Bishop David O Oyedepo. The music writer and composer released his debut album in July 2014 and since then it has been from Glory to Glory for him in the music ministry. FRED UPS also studied computer engineering in Michael Okpara university of Agriculture Umudike (MOUAU).